DAVIDSON COUNTY, TN. 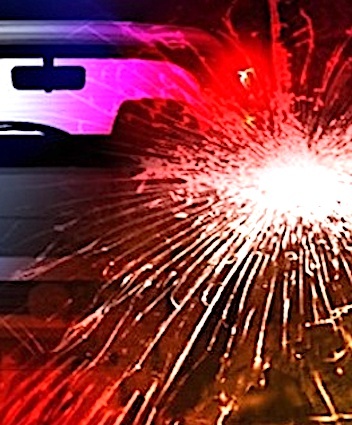 (THECOUNT) — Joshua Edwards, of Franklin, Tennessee, has been identified as the victim in a fatal Friday night single-vehicle crash in Nashville. “Josh” Edwards, 28, was operating a Honda Civic on Old Harding Pike & Big East Fork Road, in Nashville, Tennessee, when for unknown reasons, crossed centerlines and exited the roadway. The vehicle then entered a ditch causing it to roll over. The Honda came to a rest on its side after striking a tree. Edwards was pronounced dead at the scene at 11:30 p.m. of multiple blunt force trauma injuries consistent with the violent crash. A crash report noted the victim was wearing a seatbelt at the time of the collision. Police say there were no signs of alcohol or drugs at the crash site, reports WKRN. Anyone with possible information on the crash may contact police at 911. Geo quick facts: Davidson County is a county located in the U.S. state of Tennessee. As of the 2010 census, the population was 626,681, making it the second-most populous county in Tennessee. Its county seat is Nashville, the state capital – Wikipedia.